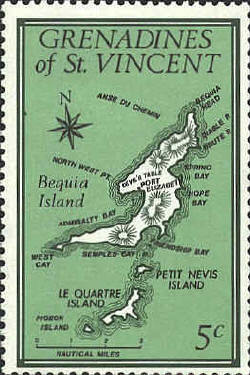 St. Vincent shares administrative responsibility for the Grenadines with with Grenada. 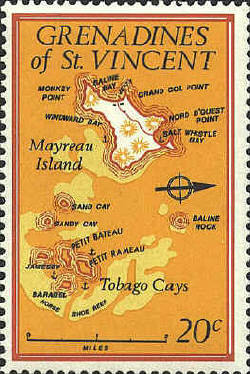 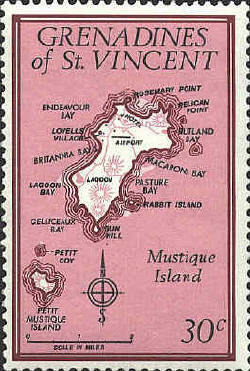 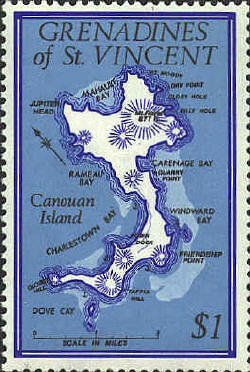 A set of six map stamps, issued in 1974 shows the archipelego and several of the main islands. 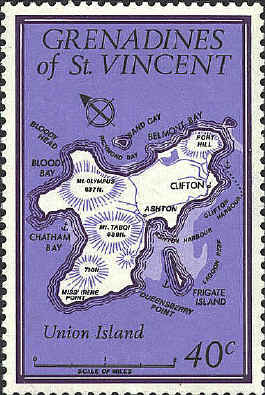 This map shows the group of islands. 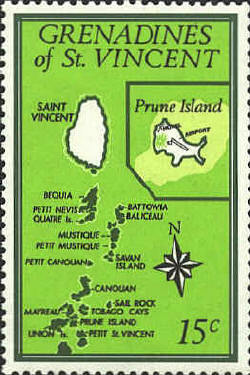 Prune Island shown in the inset is located near southern end of the group.